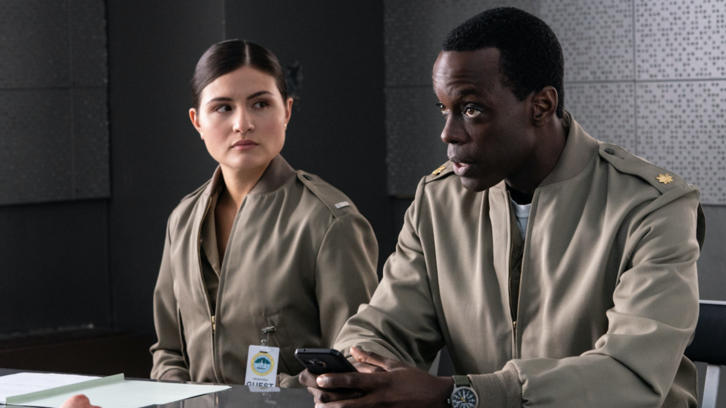 “Molly Marine” – Major Ferry and Lt. Li are assigned to find out who leaked information about a Marine who was set to become the Corps’ first female Infantry Captain, which may have led to her attack. Also, Capt. Abraham is approached by his best friend’s widow, Alex (Justine Cotsonas), who is considering suing the Corps for her husband’s wrongful death and may ask him to testify, on THE CODE, Monday, April 22 (9:00-10:00 PM, ET/PT) on the CBS Television Network.